Average 3.5/5 out of 6 total votes. Elmore, beware, as Gumball, Darwin, and Anais tackle their greatest fears: riding a bike, monsters under the bed, and more! 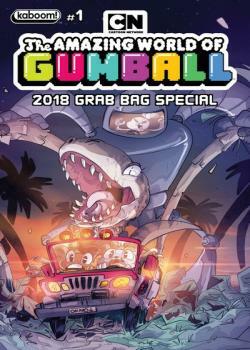 Featuring stories and art from talent such as Kelly Bastow ( Capture Creatures ), Julieta Colas ( Rick & Morty ), and more, this brand-new Grab Bag collects hilarious shorts from The Amazing World of Gumball .